View of the Snake Fountain at Sofiyivsky Park in Uman, Ukraine. 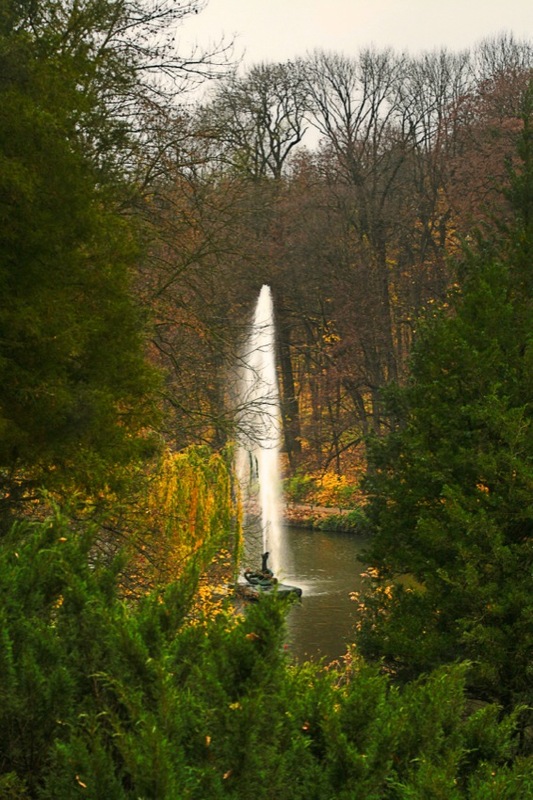 Sofiyivsky Park (Ukrainian: Софіївський парк; Polish: Zofiówka) is an arboretum (type of botanical garden) and a scientific-researching institute of the National Academy of Sciences of Ukraine. The park is located in the northern part of the Uman city, Cherkasy Oblast (Central Ukraine), near the river Kamianka. Some areas of the park are reminiscent of an English garden. Today the park is a popular recreational spot, annually visited by 500 000 visitors.